Interstate 35E was shut down for hours in DeSoto after an 18-wheeler crashed and spilled fuel onto the road Thursday morning. The truck was heading north on I-35E when it crashed through a median between Belt Line and Parkerville roads at about 2 a.m., according to DeSoto police. 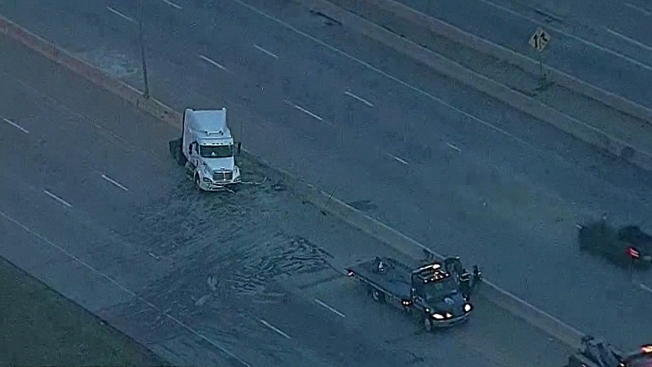 Police said they shut down all lanes of I-35E in both directions due to the fuel spill caused by the crash. Authorities reopened all northbound lanes by 5:45 a.m. The southbound lanes weren't reopened until about 9:30 a.m.
Further details about the crash have not been released.